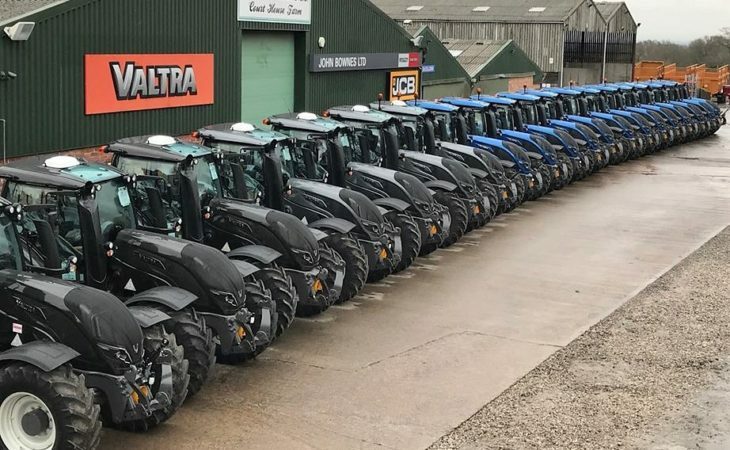 John Brownes Ltd – an agricultural machinery dealer based in Cheshire, England – has struck a deal for a very sizeable number of new Valtra tractors. 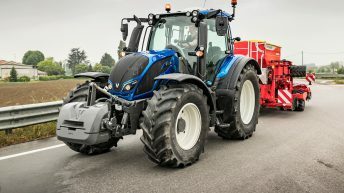 The business – a franchised dealership for Valtra and JCB, amongst other agencies – has just sold 20 new Valtra tractors to J K Ashbrook. The pictures (above and below) show the fleet, which is now on its way to the new owner. The tractors will form part of J K Ashbrook’s nationwide hire fleet in Britain. 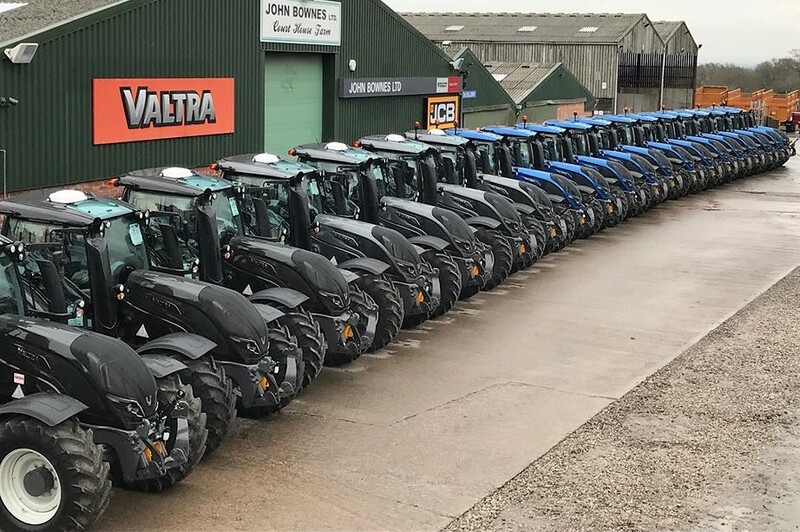 According to John Brownes Ltd, the fleet consists of 13 Valtra T174 and seven T254 models. Some are ‘Active’-spec tractors; others are ‘Versu’ models. Three even have Valtra’s TwinTrac reverse-drive system fitted. J K Ashbrook is a significant plant hire, ground-works and civil engineering contracting business; it is also based in the Cheshire region and has 25 years of experience under its belt. It is still a family-run entity; it apparently operates a fleet in excess of 500 machines – of various types and hues. Such is the size of the business, it has its own on-site fitters and workshops – tending to its hire fleet. It also runs its own trucks and low-loaders. J K Ashbrook hires out all manner of equipment, including tractors and agricultural implements. Its current price-list shows a 2,600-gallon slurry tanker costing £95 for one day’s hire; that rises to £400 for a week or £1,000 for a month. A rear-discharge muck spreader is priced at £100 per day; £495 per week; or £1,350 per month. Meanwhile, a 16t dump trailer is £50 per day; £270 per week; or £675 per month. The same rates applies for a 16t low-loader. A power harrow is pitched at £90 per day; £450 per week; or £1,125 per month. These sample prices are subject to VAT (20%). The company is also, of course, known for its tractor hire fleet. Up to now, it was running just six Valtras (alongside many other tractors from competing manufacturers). The purchase of this big, new consignment of Finnish-built machines suggests that the existing tractors performed well.